Inspired by elegant style and timeless colors of past century, we present an outstanding collection of quality traditional rugs. 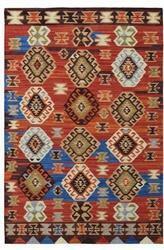 These traditional rugs are delicately woven in the comfort of today's soft and durable fabric. This range of rugs is reminiscent of the old world charm of the magnificent cities of Kashan, Isphahan, Agra, Amritsar while giving them our signature contemporary color twist. 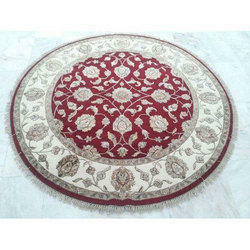 Color: maroon, blue, blackregular price: ` 12500discount: 20%price: ` 10000size: 120 cm. X 180 cm.